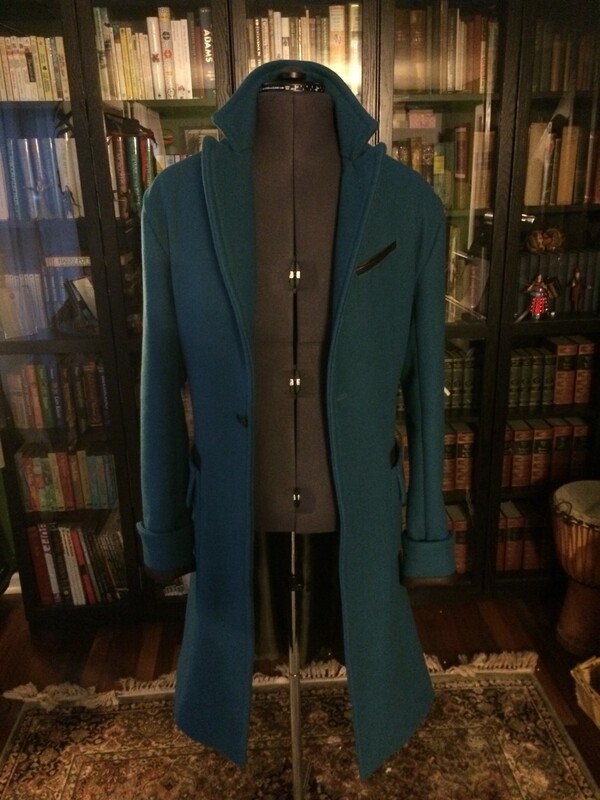 Soon after dying my first Newt coat and having it shrink (very slightly, but enough to cause puckering and drooping at wool/lining and wool/vinyl seams), I knew I would need to make a second version. 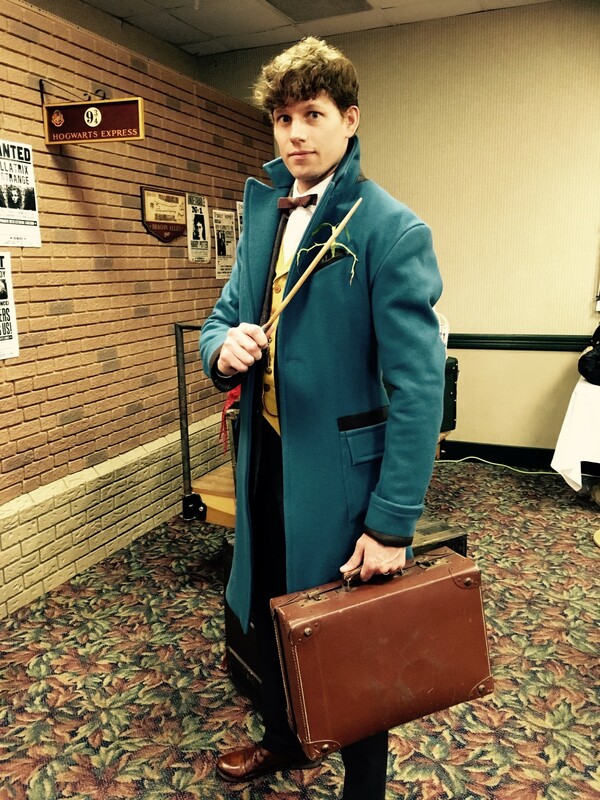 Besides starting with the correct color wool, I also wanted to address various issues, some of which only became apparent after seeing the movie or photos from the traveling exhibits. 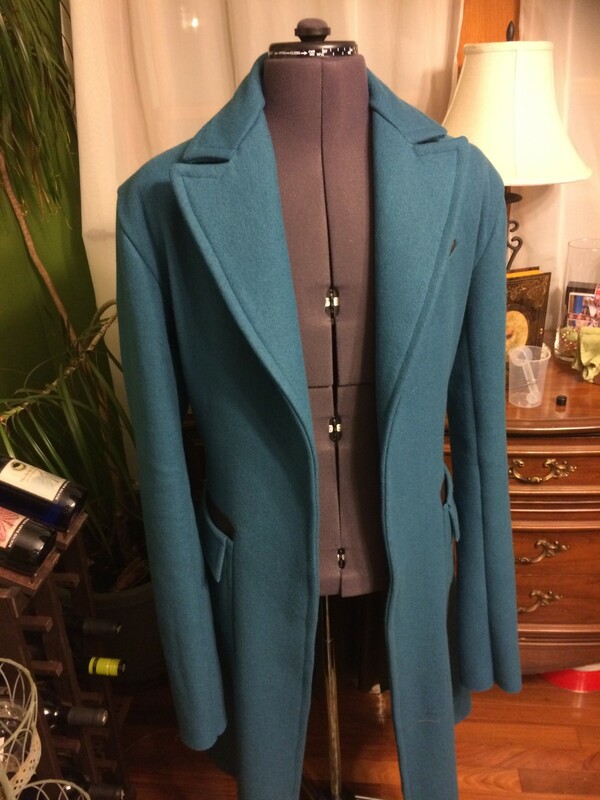 The leather accent on the back of the collar needs to be added, while increasing the overall width/height of the collar so it’s nice and tall in the back and matches the lapels in front. 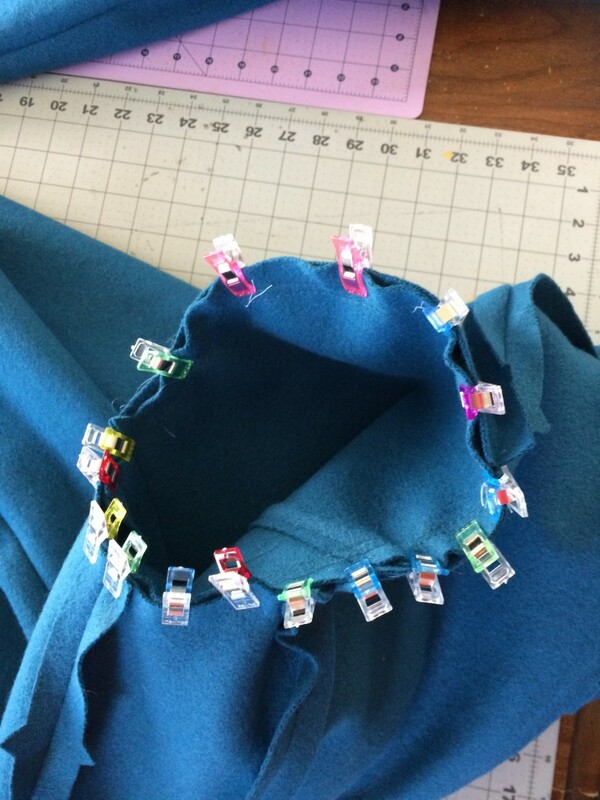 This is the most exciting/stressful aspect of it for me, because it means drafting a new pattern for a somewhat complicated collar. The breast pocket, which I originally made as double-welt, is actually supposed to be single-welt. 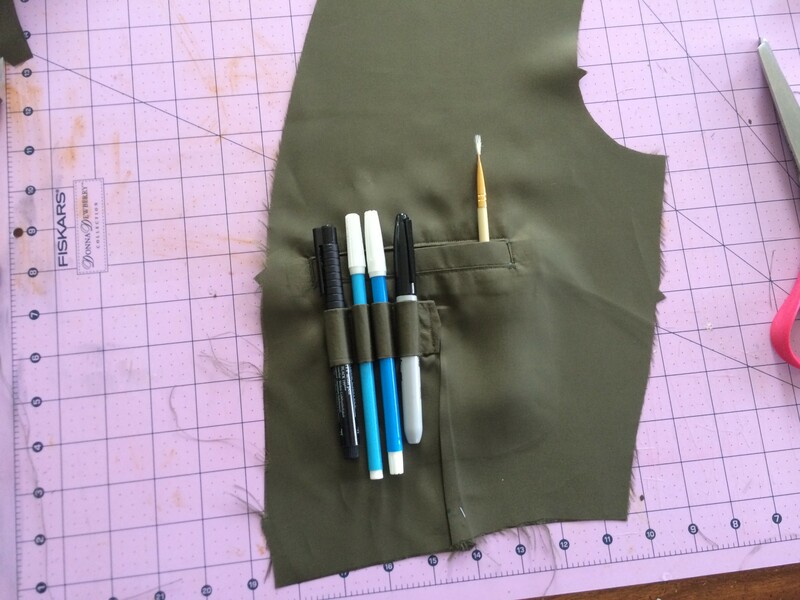 Inside pockets of various sizes need to be included. Lining color needs to be olive, rather than the chocolate I used in V1. 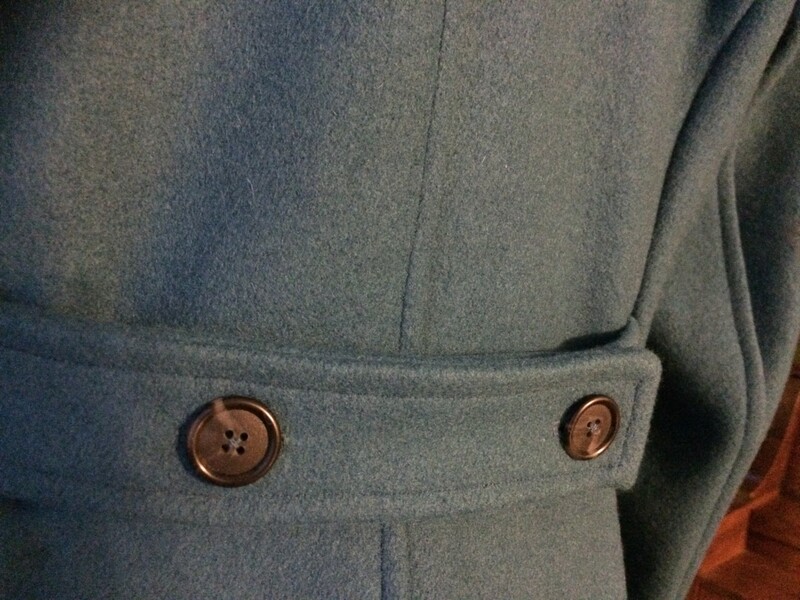 Button in the front is not a standard button, but a button-toggle – with a buttonhole on each side of the coat. 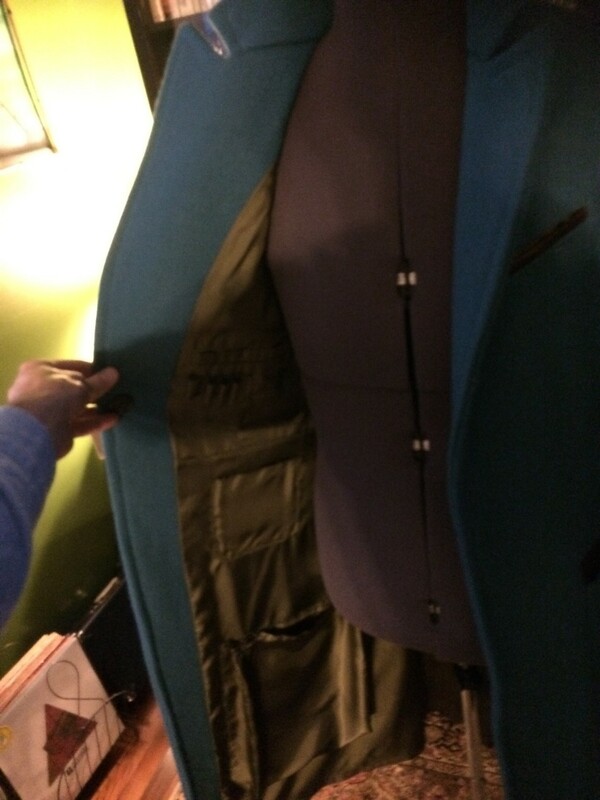 It’s clear to me now that there are no curved seams on the back, nor side panels in the original coat. – Edit – I have decided to live with this aspect being inaccurate. 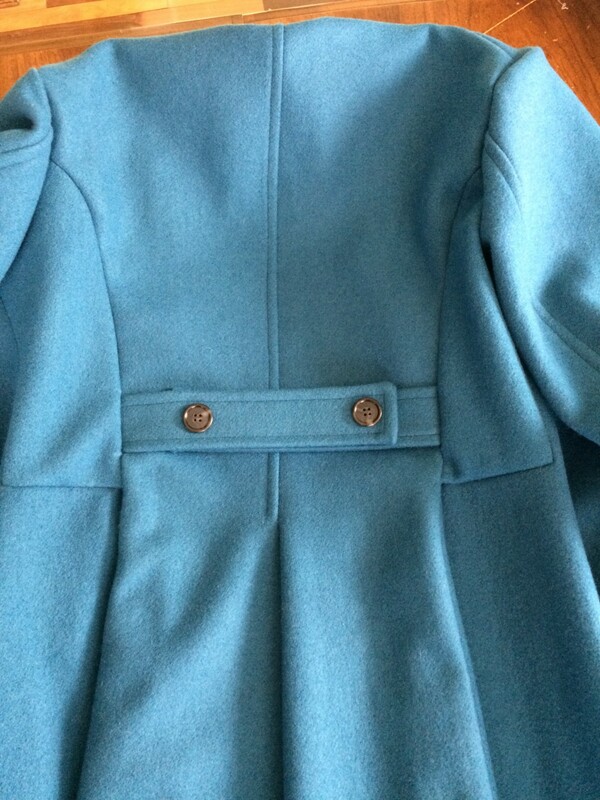 After seeing close-up photos of the real coat and a swatch from the visual companion book, it became clear that the original was a diamond-weave, consisting of oatmeal and green colored threads. This was then over-dyed to get the dark peacock blue. I started by scouring online and brick&mortar fabric stores for a suitable match and ordered a bunch of swatches. Nothing impressed me, so I went back and ordered more of the same fabric I used for V1, and then dyed it. At the same time, a member of the RPF was trying to put a group together to commission a custom woven fabric. I got in on this, but I’m not sure yet if it will turn out. That will be V3 if it does. I also wanted to do some upgrades on some other pieces of his costume. 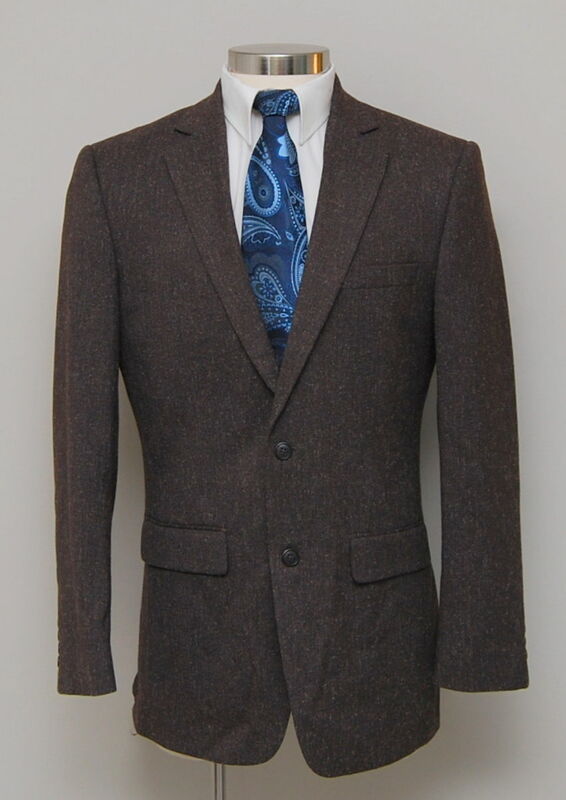 I found a closer match to his brown tweed jacket which, while not perfect, suits my needs. 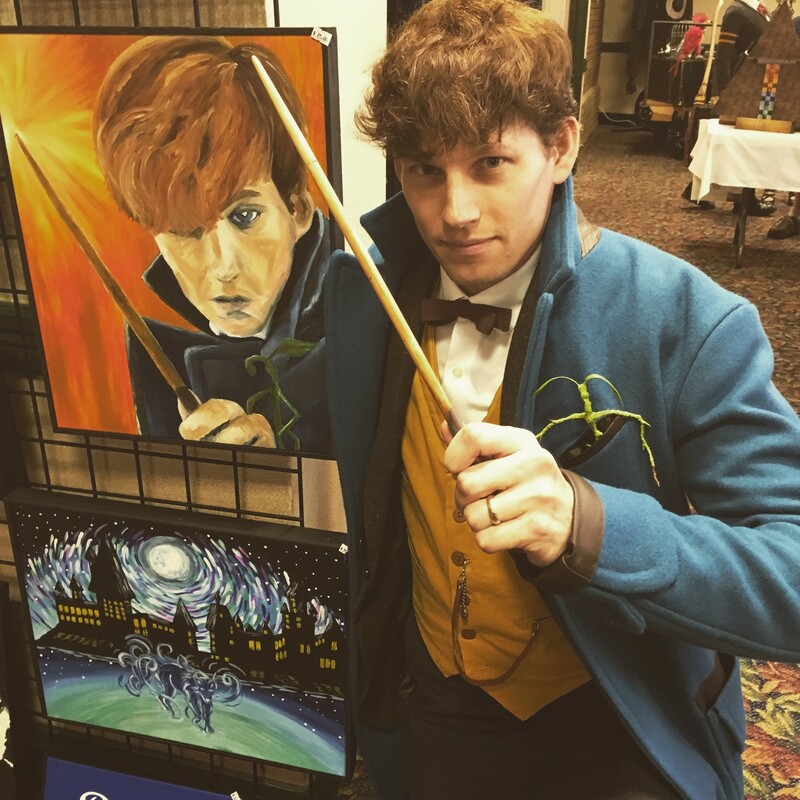 It should be quite a bit shorter, since Newt’s is ill-fitting, but the fact that this actually fits me means I can wear it outside of a cosplay context. Since the boots I bought were a much lighter brown than his, I stripped off the finish using mineral spirits and applied a chestnut leather dye. 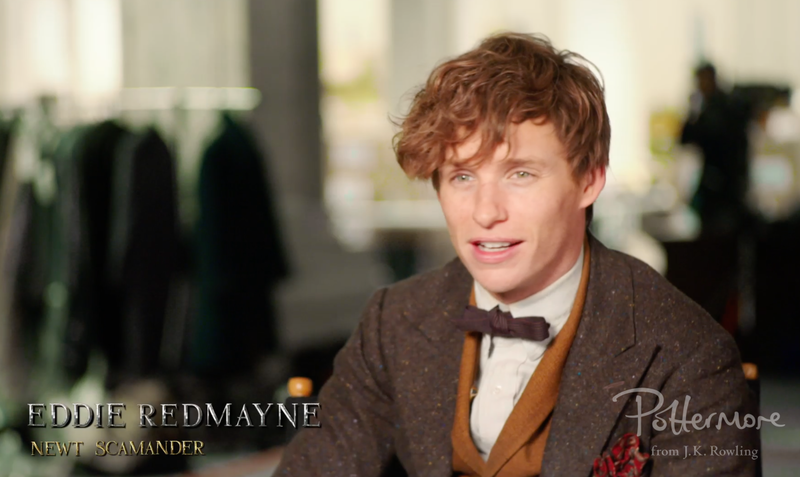 In the film, you can see that his wand is carried in a holster/straps at his left hip, possibly integrated into his trousers. 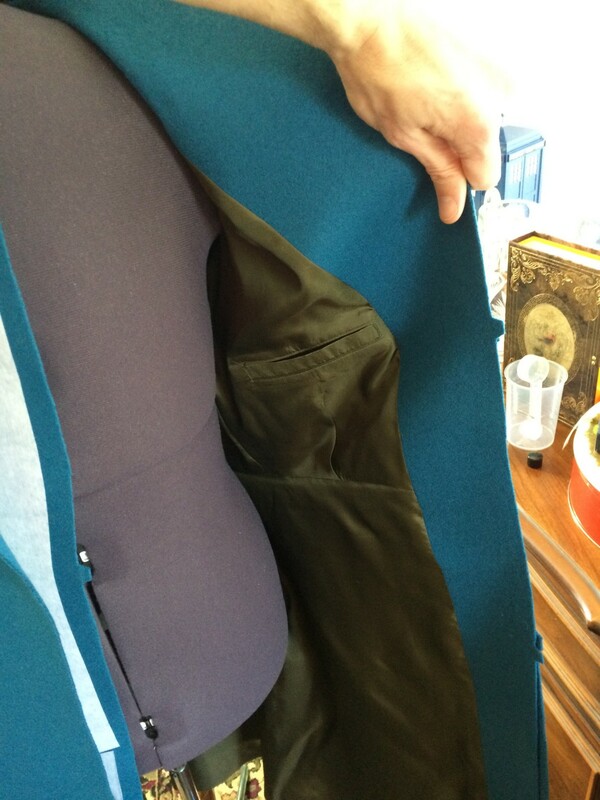 I may attempt to sew a new pair of trousers from scratch, having found a decent match at Mood Fabrics. 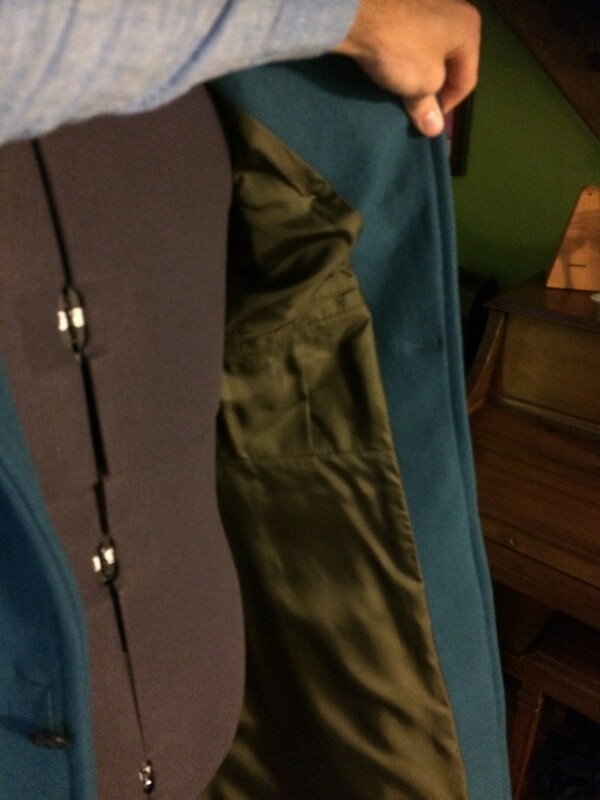 I got a fantastic olive lining from Mood Fabrics, and some faux leather from Jo-ann. However, after a small slip of the iron ruined (melted) the finish on the faux leather, I drove an hour each way to go get some real leather scraps ($5 for two ~1’x1′ pieces) from Tandy. It meant ripping out the pocket, basting the cuts back together, and redoing it with leather, but the peace of mind alone is worth it. Bonus: I am no longer even slightly intimidated by welt pockets. 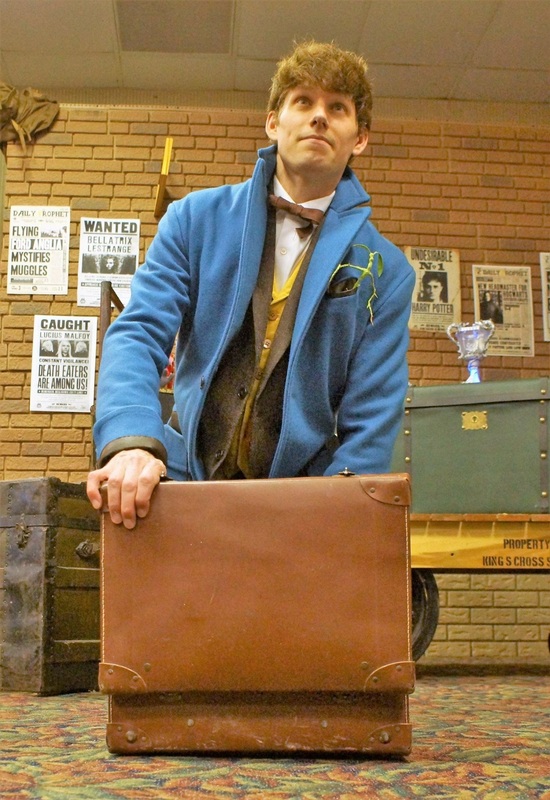 I would love to make or acquire a bowtruckle to occupy this pocket. 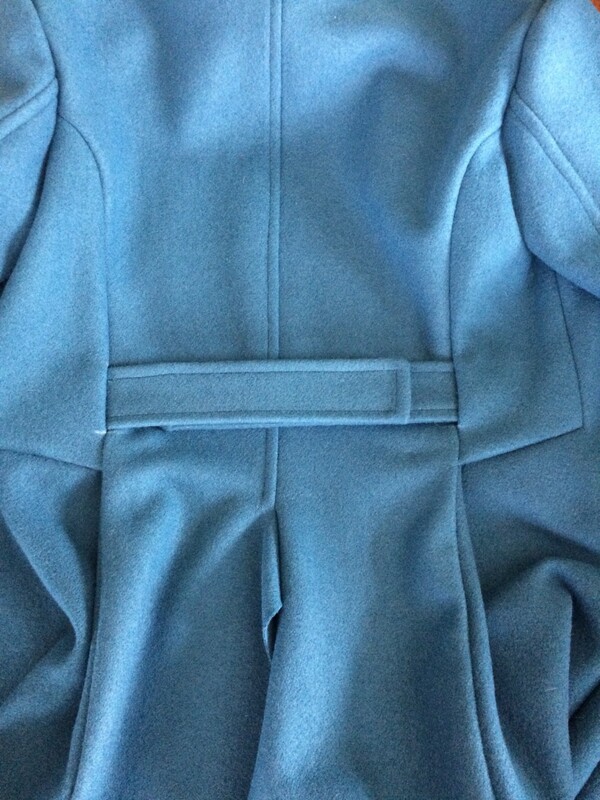 Corners, seams, and slashes marked on the “right” side of the coat. Interfacing added to “wrong” side. 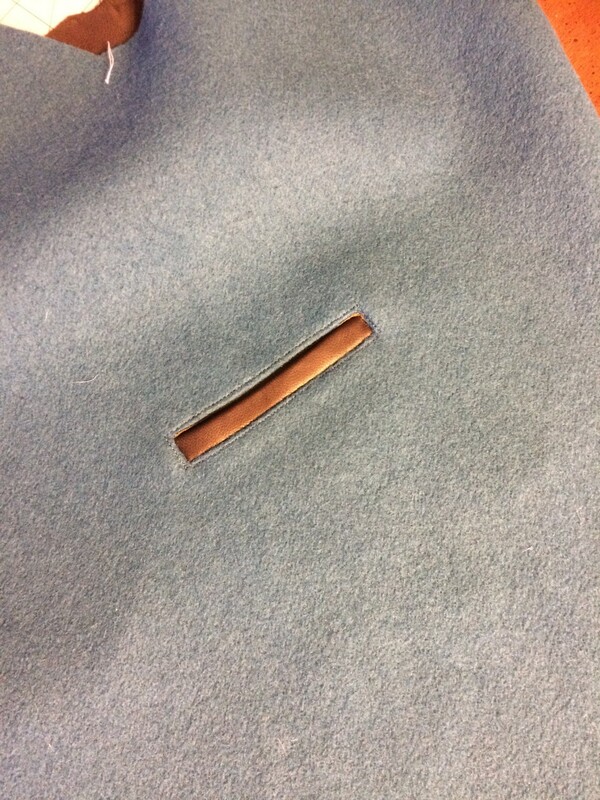 This shows the lining material for one side of the pocket bag sewn to the “right side” of the coat along the top and bottom only. Hidden beneath it is the welt, sewn along the bottom only and upside down. 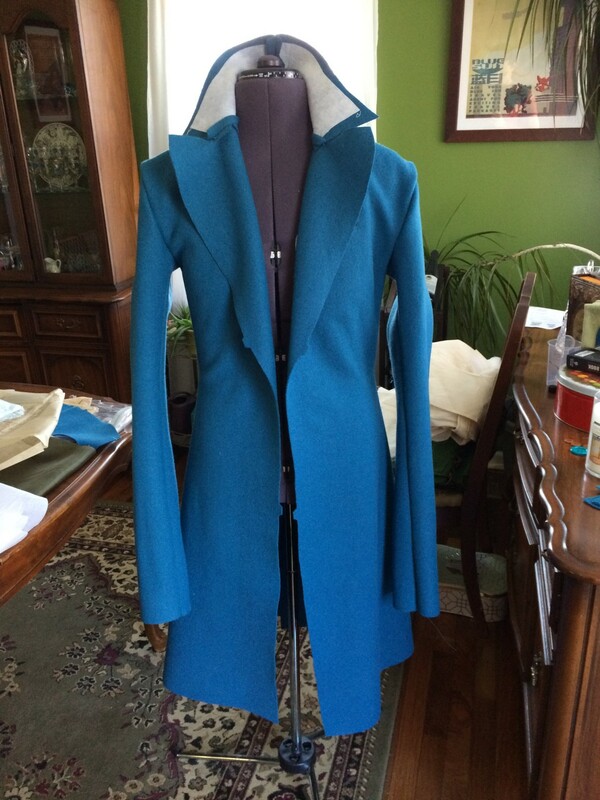 Interfacing, wool, and lining material slashed. 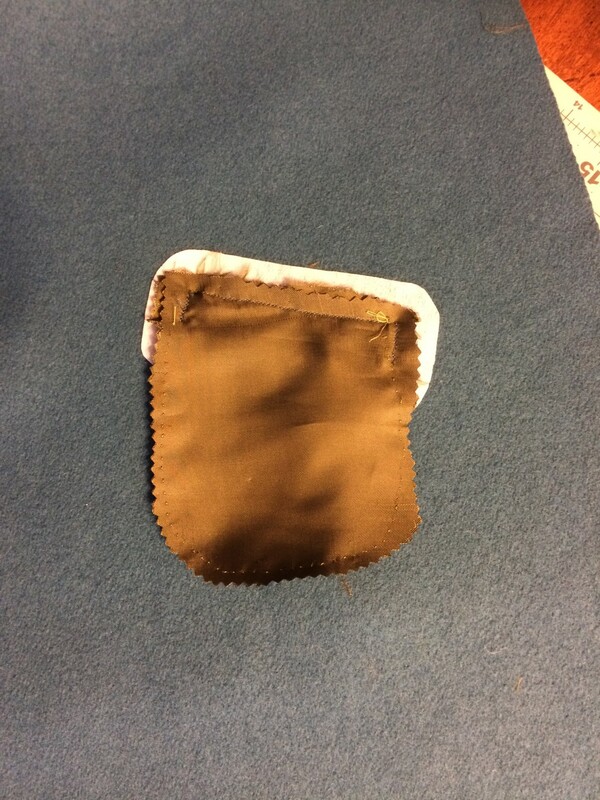 Lining turned through slashes to the inside, second layer of lining added to complete the pocket bag. Top-stitched around the sides and top to complete the pocket. Next I tackled the inside pockets. 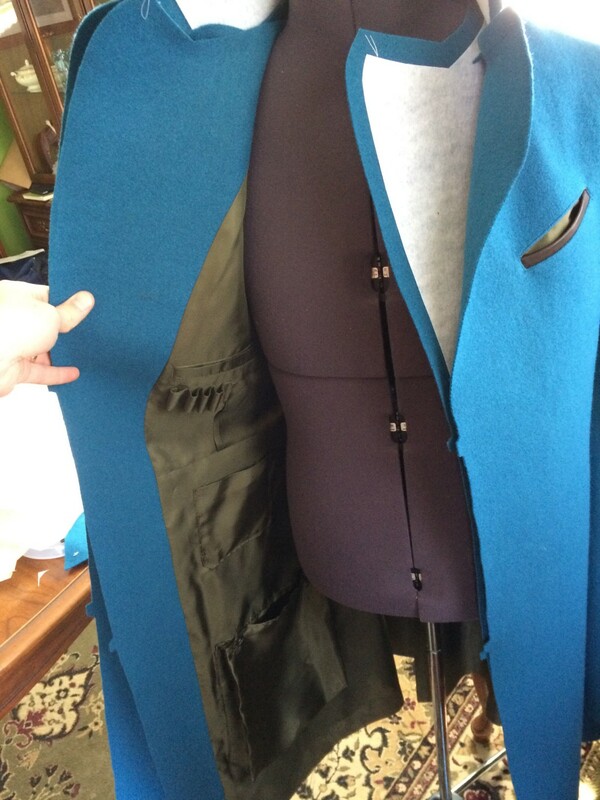 First I determined where the inside breast pockets should fall by trying on my V1 coat, reaching in and deciding where my hand would naturally expect to find a pocket, then measuring from the seams to mark it accurately on the pattern. 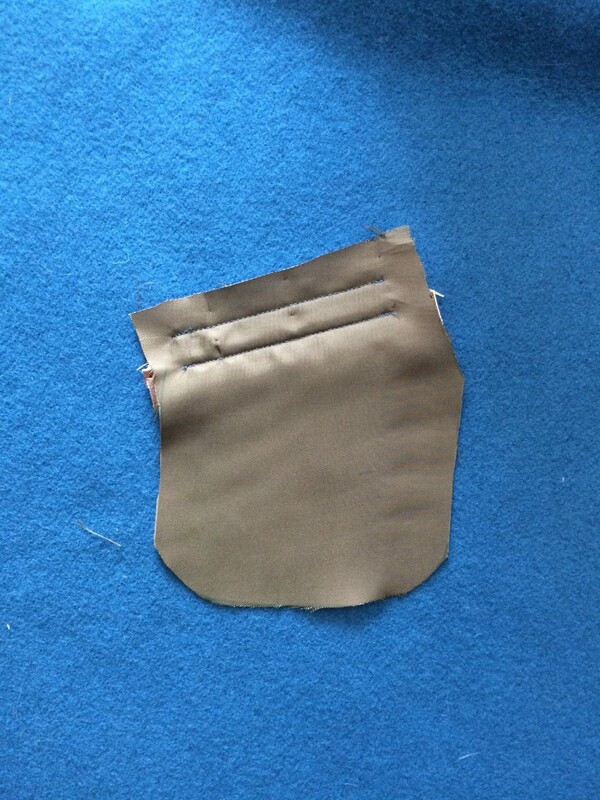 Then I transferred these marks to both chest lining pieces and made welt pockets. 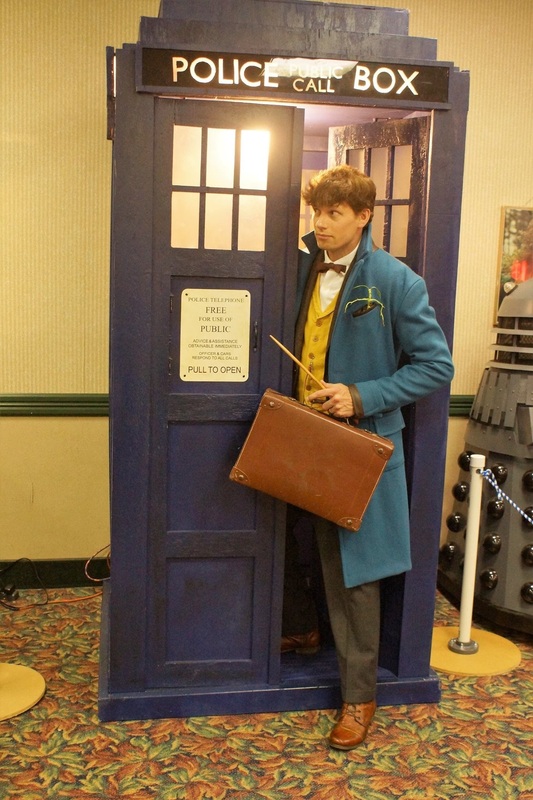 Since Newt has a bunch more pockets, I also added a patch pocket and a bag with buttons onto one side. I’d had enough of pockets at this point, so even though I suspect the other side also has a crazy pocket or two, I’m sticking with what I’ve got. 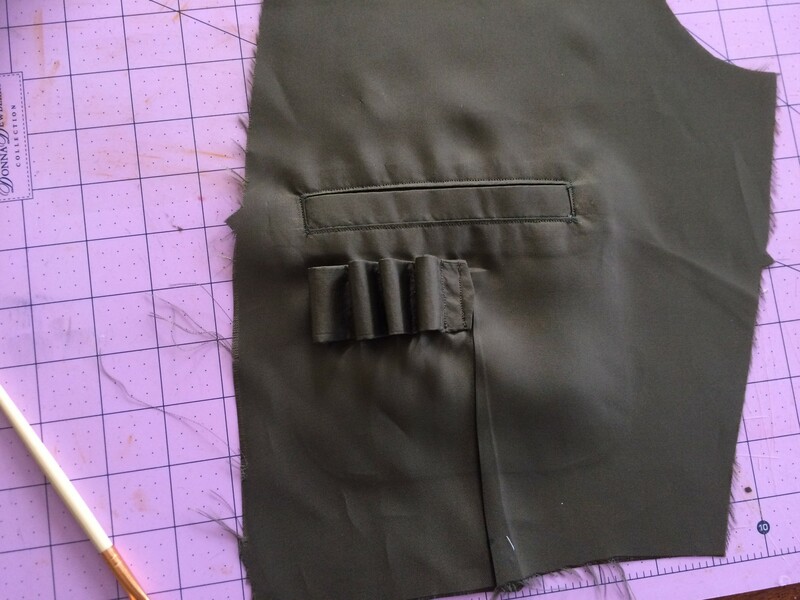 He also has a row of loops to hold vials under one of the breast pockets, so I added those as well, using a bit of guesswork and supposition to fill in the large gaps in reference material. 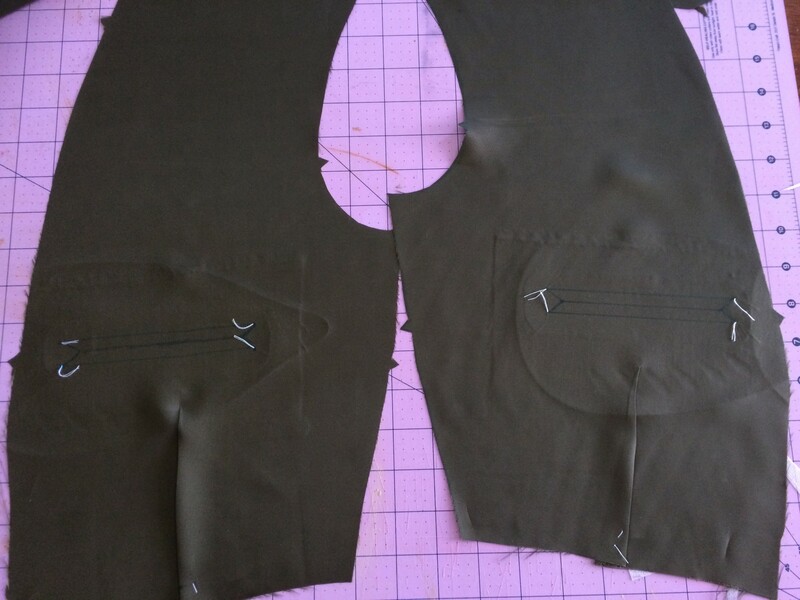 Both sides of chest lining marked for welt pockets. Loops added to hold vials. 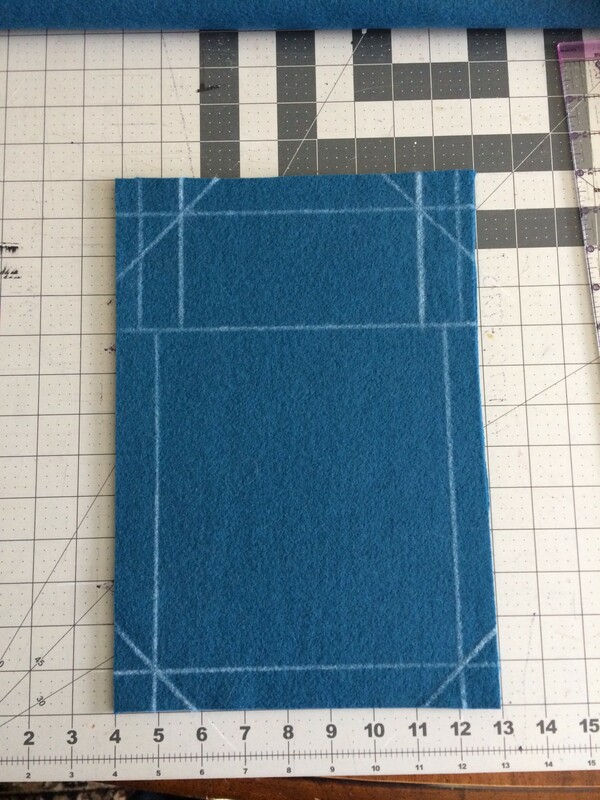 I added fusible interfacing to a rectangle of lining material, folded it in half, then turned it inside-out to form a sturdy ribbon, then sewed it by hand to the lining. Demonstration of function, and also how I determined the size for the loops. 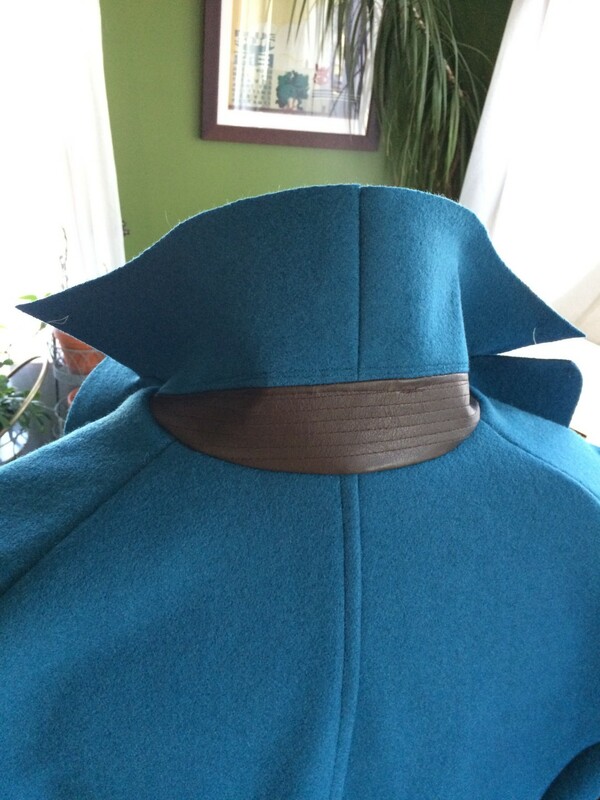 My biggest challenge for this version was redesigning the collar to incorporate the leather accent and increase overall height. After sewing a muslin and trying a couple different variations, I came up with what I believe is a close match for the real thing. 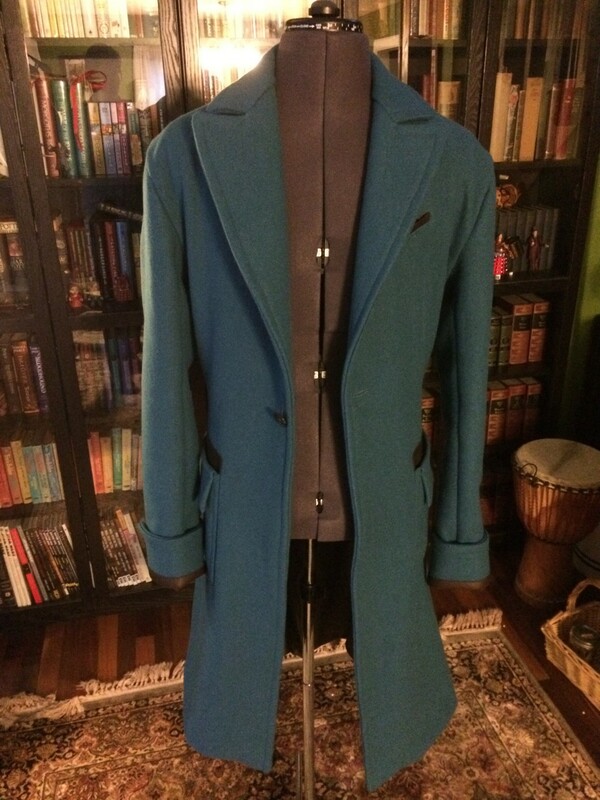 It takes cues from existing patterns I was able to find online for pea coats, but its ultimate success or failure is 100% on me. Luckily, photos taken at New York City Comic Con show the collar in the “popped” configuration, allowing me to get a decent idea of the shapes and curves involved, and I think I came up with something that at least echoes the look of the real thing. 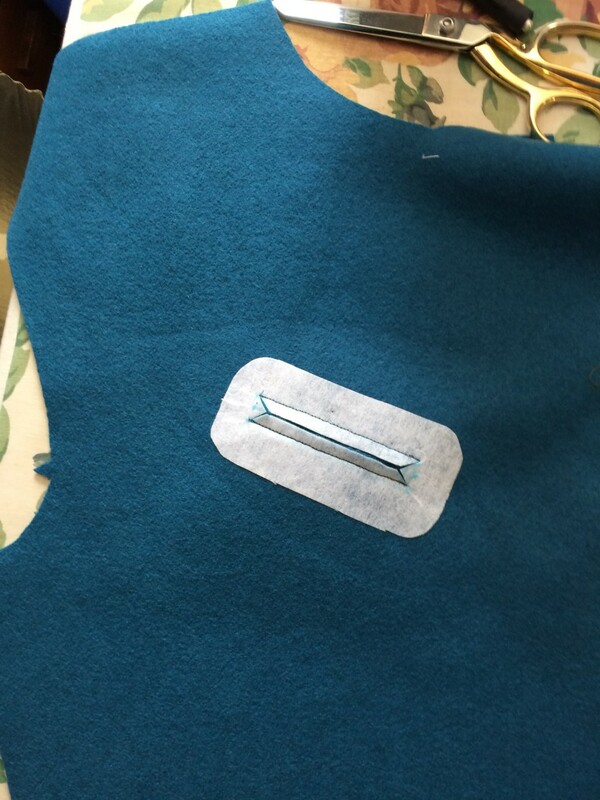 Also, a new addition to my toolbox has made a huge difference when it comes to working with tough or bulky materials like wool and leather: these little clips take the place of pins and make tasks like setting sleeves much less pokey. I ordered one set on the recommendation of Adam Savage and have not needed more so far. There’s some puckering evident here due to the clipping of the lapel not quite reaching the seam. This was subsequently fixed. At this point I ended up breaking both of the sewing machines we have in the house (in different ways), probably by trying to sew through too many layers of wool too fast or with the wrong needle. 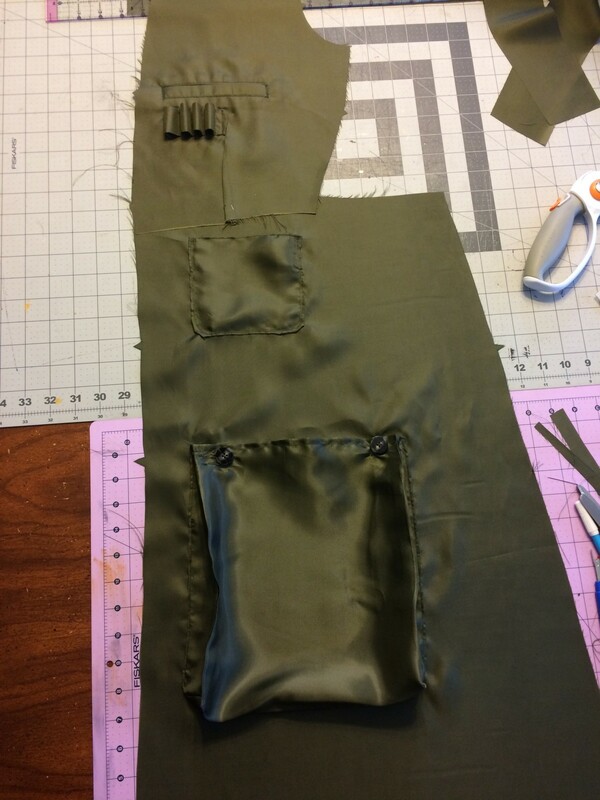 Before that happened I was able to get the lining assembled and mated to the facings and collar, and add the back belt straps (which I increased in width by 1/2″ from last time). 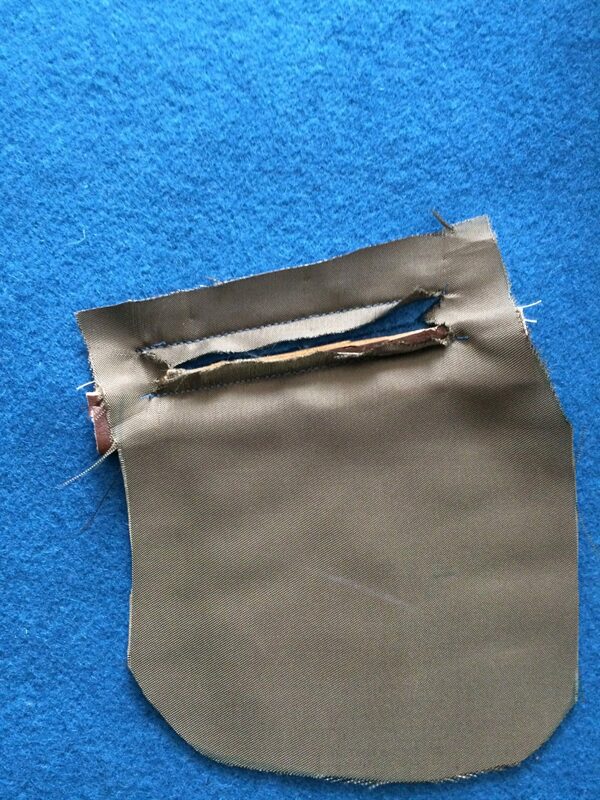 To add the straps, I measured where they should attach, then ripped open the existing seam. 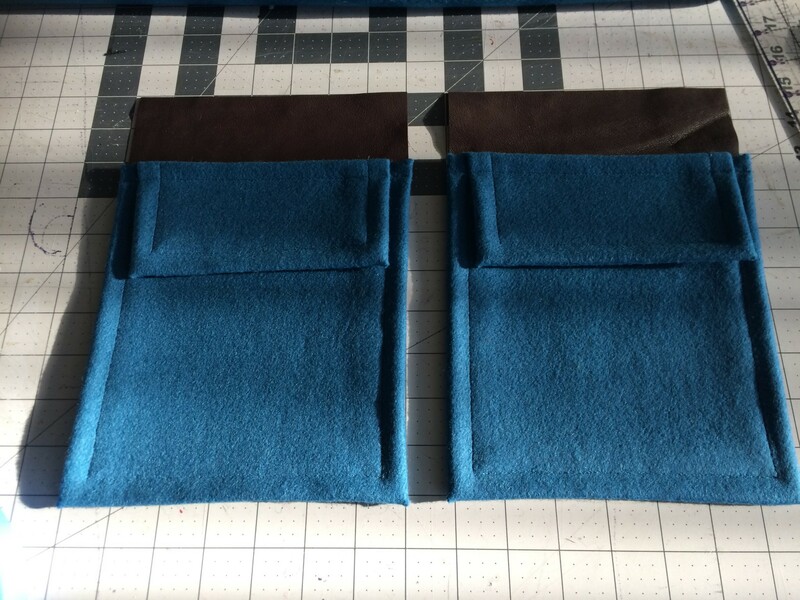 The straps were inserted, and the seams re-sewn by hand due to bulk. 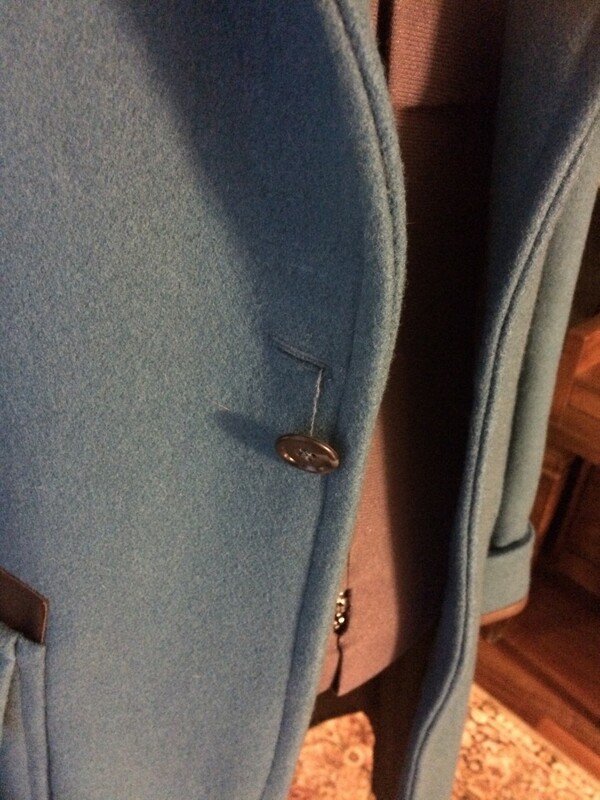 I also added functional buttonholes to them this time, instead of just sewing superficial buttons on top. Until the machines could be repaired/replaced, I did as much hand-sewing and marking as possible. 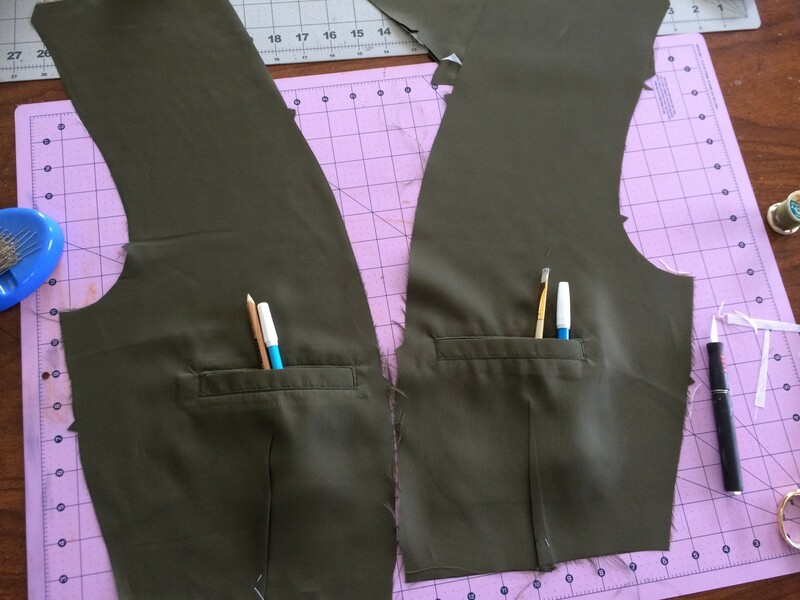 This included making and attaching shoulder pads and sleeve heads, and planning and cutting the outside patch-pockets. 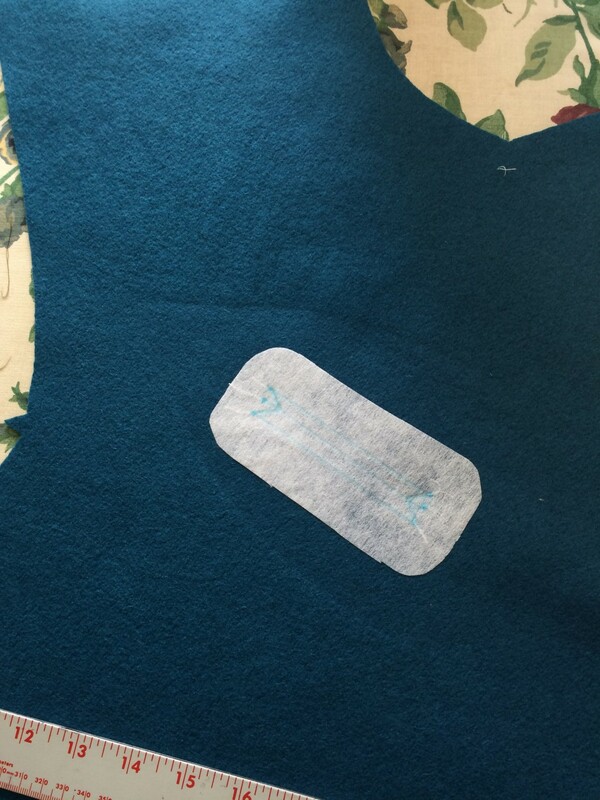 Once we got the sewing machines back from the repair shop, I sewed the lining/facings to the shell, clipped my corners, and did the turn-of-cloth. 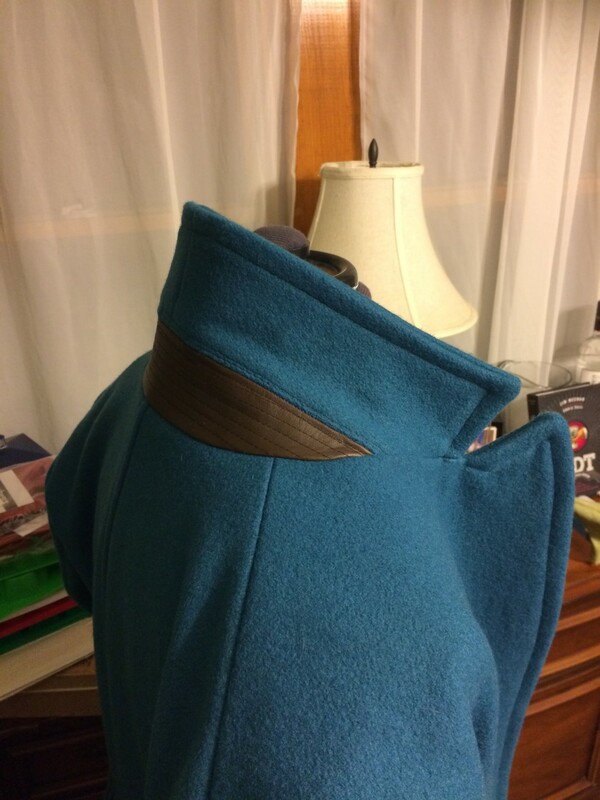 I could finally see how my modifications to the collar worked out, and I think I did pretty well. 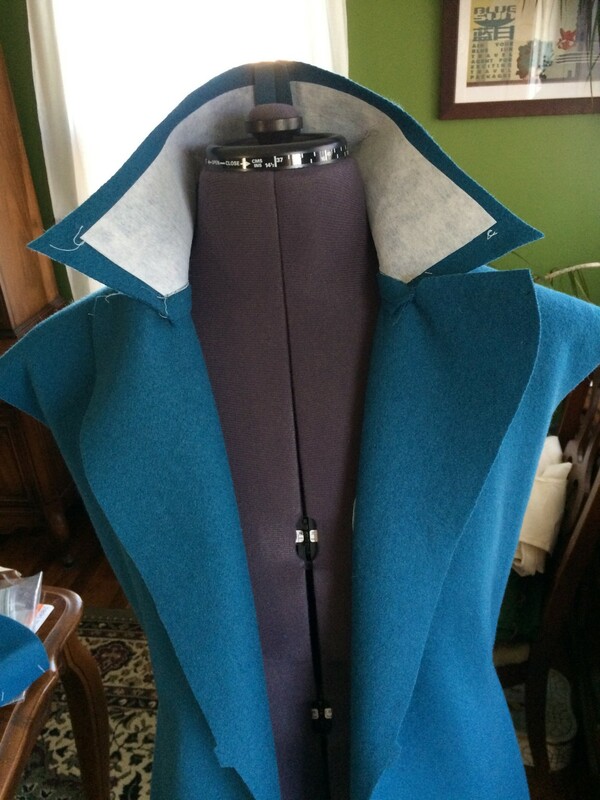 Once I was satisfied things were lining up properly, I top-stitched around the front edges, up the lapels, and around the collar, attached the cuffs, and hemmed the bottom. 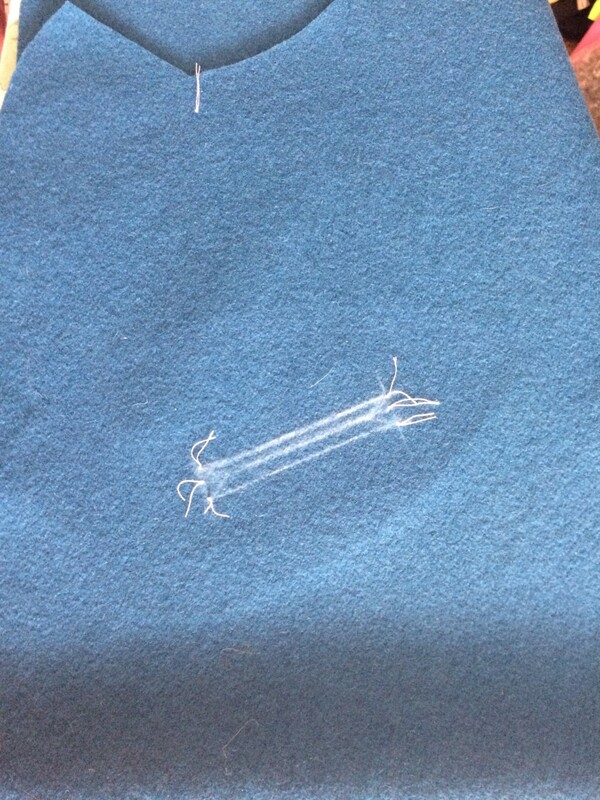 One thing I did differently is that I did not stitch the hem of the lining to the hem of the shell. This is a detail of the original that I only noticed while watching the blu-ray. 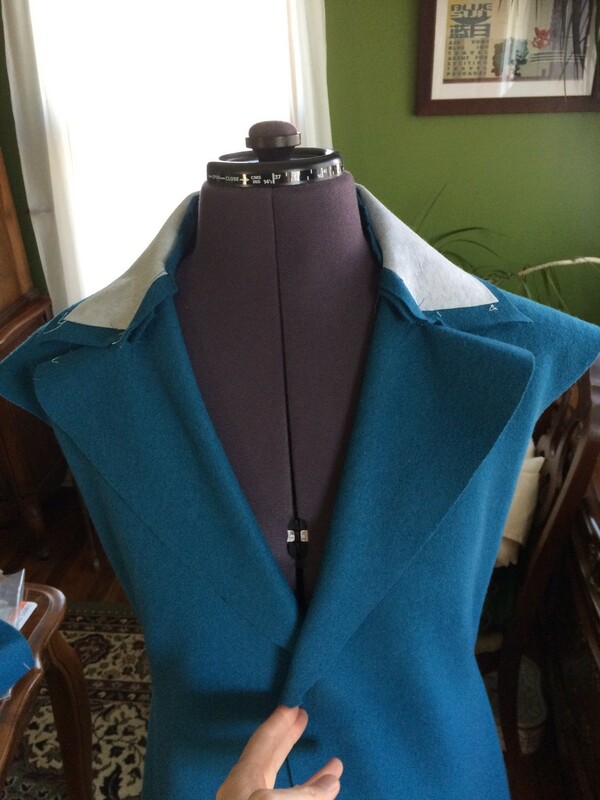 I also added buttonholes to the front and made a button-toggle. There are a couple things I would change if I did it again, but I am 1000% happier with this version.